Today eMailChef Academy, the definitive blog on email marketing, will help you to clarify the common term: “hard bounce”. You probably have heard of it when going over results or statistics of an email campaign. hard bounces, emails sent that cannot be delivered in any way, for reasons we will see together shortly. What causes a Hard Bounce? a technical error with the provider’s servers, something very rare, but it is good to be aware of the possibility. What are the damages of hard bounces? How can you reduce them? Receiving numerous hard bounces will severely damage your email marketing: over time this affects your IP reputation, if it gets significantly worse then email servers will start to block your messages, or they will automatically place them directly in the SPAM box. Once an IP address is no longer considered reliable and secure, it is placed in a blacklist, a virtual list of senders labeled as spammers. The process to remove it from such a list is anything but simple and involves a lot of work. How to make sure all your efforts and work will have an impact? 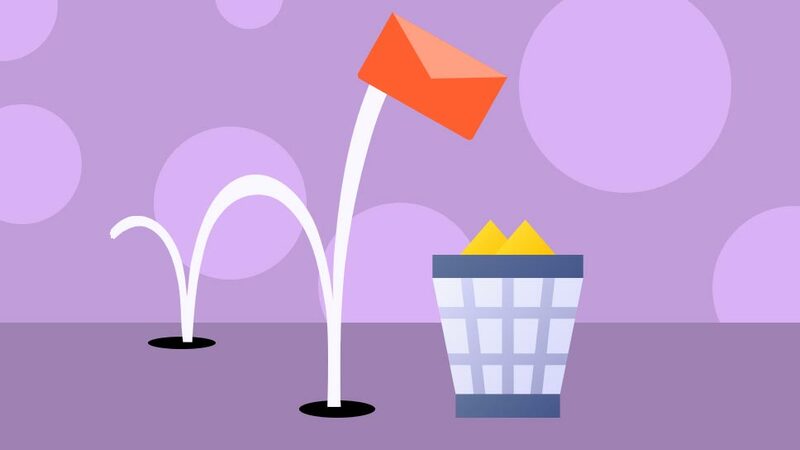 Keep your lists clean: you will have to delete the email addresses that cause hard bounces manually, or you can use eMailChef, the email marketing software with an intelligent system that automatically cleans contact lists for you. With eMailChef, keeping your mailing lists clean is really simple: if your campaign generates hard bounces, our system will identify and remove the email addresses that are causing problems and place them in a blacklist, to prevent them from causing further damage. A hard bounce is a sent message that will never be received, either because the email address contains an error, or for technical reasons. To reduce or eliminate hard bounces, which would lead to your IP address being placed in a blacklist, you should clean your contact lists regularly. If you don’t want to do it manually – or waste hours of your time – trust eMailChef: after sending each campaign our software automatically removes dangerous email addresses. With eMailChef you will reduce your hard bounces, and you will have much more time to improve your email marketing!